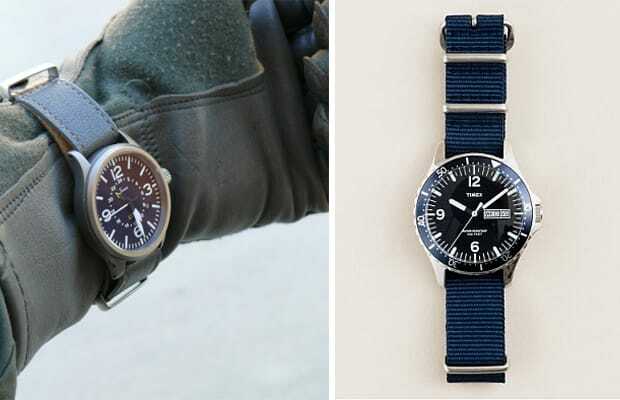 You may be hearing shout outs to Rollies, Audemars Piquets or Hublots, but nylon watch straps are probably the biggest trend for time-telling wristwear right now. Though commonly referred to as a NATO, the “G10” was first issued to the British military because it could survive just about any height, depth or treacherous condition. The fact that Sean Connery as James Bond cosigned it let's you know it ain't going nowhere in the menswear world.